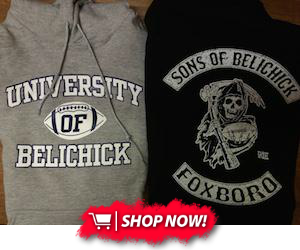 There might be finally some justice in the world for the New England Patriots. 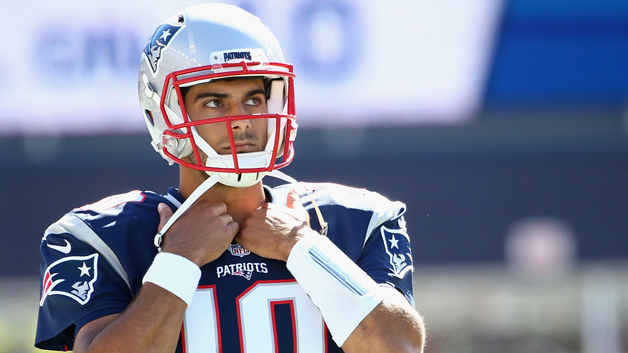 Reports are claiming that Jimmy Garoppolo's shoulder injury isn't as bad as first thought and could even suit up Thursday night against the Texans. Garoppolo’s injury “might not be as severe as it appeared initially,” a league source told The Boston Globe’s Jim McBride. The Patriots are hoping Garoppolo will be in uniform Thursday, “even if it’s in a backup/emergency capacity,” a league source told McBride. The injury that Garoppolo has apparently suffered is a sprained AC joint in his right shoulder which occurred in the second quarter of the 31-24 win over the Dolphins. It looks like rookie Jacoby Brissett will be taking over the controls to the Patriots offense for the time being but the positive news is that Garoppolo could potentially back up Brissett. The Patriots next quarterback in the line is Julian Edelman who played the position at college for Kent State. The Patriots don't have practice on Mondays but if they going to work out any free agent quarterbacks it would have been then. There were no new faces at Foxborough so that implies that Garoppolo will be ready to suit up on Thursday.